In previous guest posts on Valerie’s blog, I have discussed first-time obedience at length. Whether you’re dealing with a two-year-old who has learned the power of the word “no” or a four-year-old who torments his baby sister, first-time obedience training is hugely important. When you are in the throes of first-time obedience training, you are teaching your child to simply act like a civilized being. First-time obedience can do everything from keep your child from dumping a jar of flour on his head to running out into a busy street. The crux of obedience is teaching the child to obey your word, no matter what behavior or attitude issues you are dealing with. 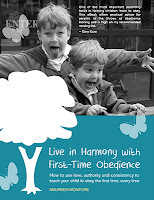 But once you’ve achieved a high level of obedience from your child, it’s important to think beyond obedience. First-time obedience is just the beginning. We cannot rest on our laurels as soon as our children have learned to obey our word. In fact, after your child has demonstrated obedience, your real work as a parent can begin. Once your child has learned to obey your word, you can work on training the child’s heart. There are many moral lessons that parents are responsible for teaching their children. But before obedience has been achieved, children aren’t always ready to receive these lessons. In addition to obedience, an important prerequisite for heart training is a strong relationship between you and your child. As your child demonstrates obedience and as that obedience gives you the opportunity to teach him in right behaviors, you will come to a place where your relationship with your child takes a priority over obedience training. With obedience and training by authority behind you, you are able to use the strength of your relationship and the power of your influence to lead the child. “Perhaps the greatest transition you will experience is that of learning to use less of your authority and more of your influence to motivate your children as they grow older and become more responsible. Here is a basic truism to consider. When a child is young, lead by the power of your authority. When he or she is a preteen and teen, lead by the strength of your relational influence,” (Growing Kids God’s Way, p. 93). Ultimately, what motivates your child will change. “It all comes down to this simple principle. External motivations that once governed the child’s life are replaced by internal beliefs that rule from the heart. Moral maturity emancipates the child, allowing him to direct his own behavior in harmony with family values,” (Growing Kids God’s Way, p. 95). 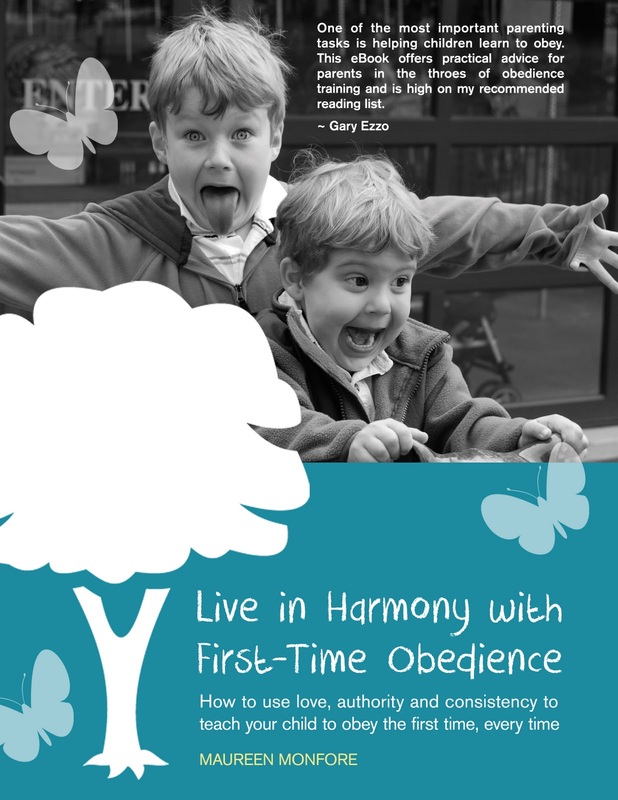 Use this as your motivation in training your child in first-time obedience. Understand that obedience and submission to your authority are the first steps toward moral maturity. Once your child reaches moral maturity, he will independently follow the values that you have instilled in him and lead a life in accordance with your heart training.